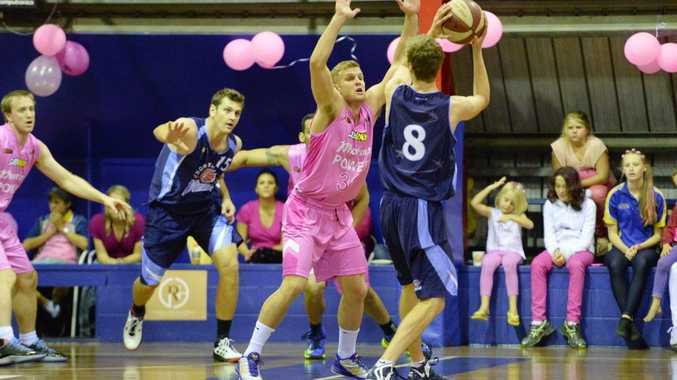 GLADSTONE was powerless to stop a Northside Wizards team desperate for a win at the weekend, losing 88-78. While Power men had every reason to come out firing - a pumped up crowd, the big occasion of the McGrath Foundation fundraiser and most of all the opportunity to take a step towards finals basketball - they didn't. The Wizards had played the night before, but possessed more energy and determination. The Power on the other hand was ill-disciplined and flat. "We were too relaxed and expected it when they just wanted the win more," Power captain Shaun Gleeson said. "They go deep and have some young college kids, they had more intensity and it was pretty disappointing in front of a full crowd." Gladstone began the match the better of the two sides, leading by four at the end of the first quarter. Then the performance went down hill. The Power turned the ball over 17 including eight from guard Gleeson, and seemed outclassed and rushed while Northside employed a full court press up until a winning lead was secured with minutes remaining. "We planned for it (the pressure), we know how to break it but we weren't disciplined enough," coach Dale Iwanicki said. "Full credit to them, but we are a better side than that. They outplayed us tonight, simple as that." The Power now holds a record of 6-3 and has some important matches against Mackay and Rockhampton that will ultimately decide its finals fate. One positive to take from the match was another fine performance from import Braydon Hobbs, who mustered some fantastic assists while also scoring 24 points.